Genetic Engineers can alter the DNA code of living organisms. 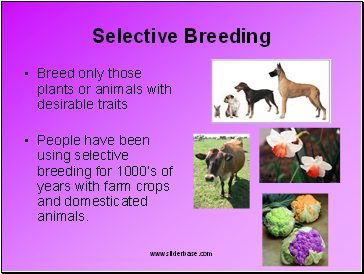 People have been using selective breeding for 1000’s of years with farm crops and domesticated animals. The ability to combine the DNA of one organism with the DNA of another organism. 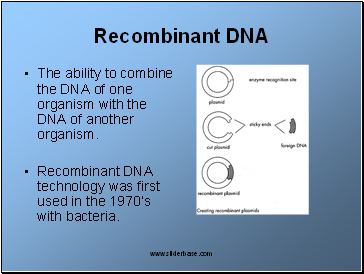 Recombinant DNA technology was first used in the 1970’s with bacteria. Cut the Bacterial DNA with “restriction enzymes”. 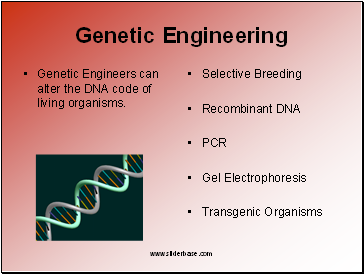 Cut the DNA from another organism with “restriction enzymes”. Combine the cut pieces of DNA together with another enzyme and insert them into bacteria. The foreign genes will be expressed in the bacteria. 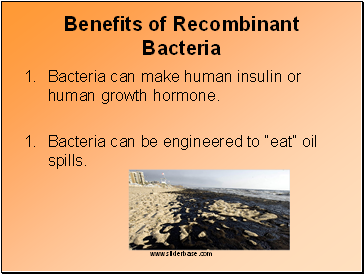 Bacteria can make human insulin or human growth hormone. Bacteria can be engineered to “eat” oil spills. 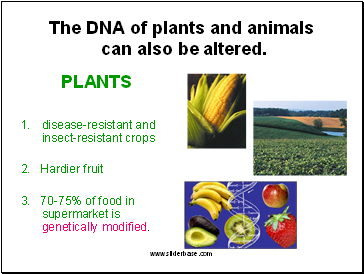 The DNA of plants and animals can also be altered. 3. 70-75% of food in supermarket is genetically modified. 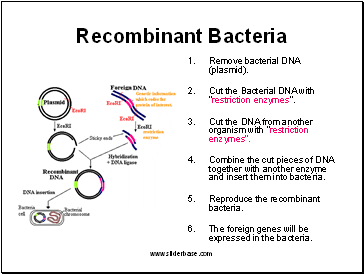 1.Create recombinant bacteria with desired gene. 2. Allow the bacteria to “infect" the plant cells. 3. 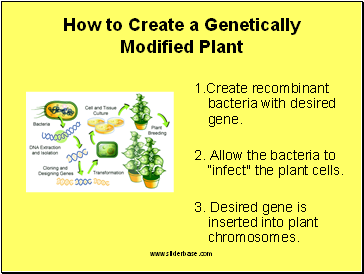 Desired gene is inserted into plant chromosomes. 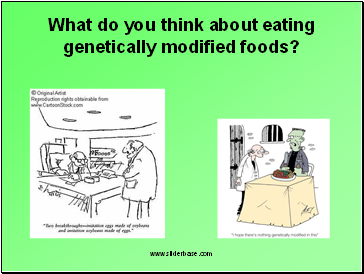 What do you think about eating genetically modified foods? 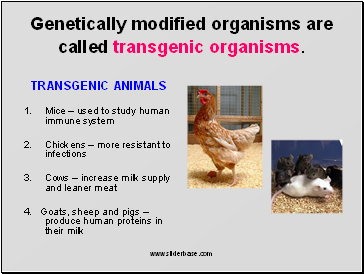 Genetically modified organisms are called transgenic organisms. 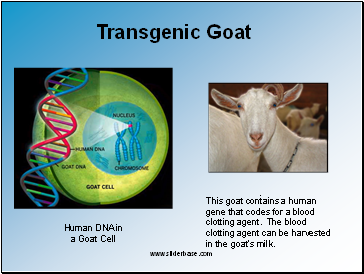 This goat contains a human gene that codes for a blood clotting agent. The blood clotting agent can be harvested in the goat’s milk.